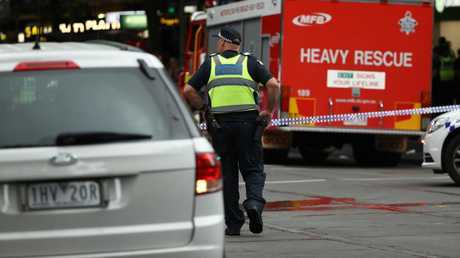 Scott Morrison has criticised the Muslim community for not doing enough to prevent terror attacks like Friday’s Bourke Street stabbing. Experts say that’s unfair. 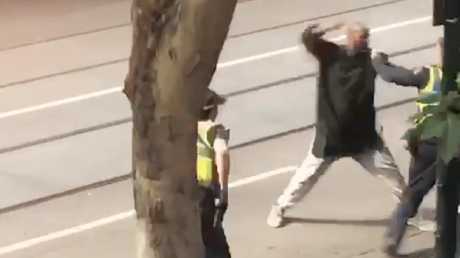 In the wake of the Bourke Street terror attack in Melbourne last Friday, which left one person dead and two injured, Scott Morrison has pointed the finger of blame at Muslim leaders. The Prime Minister claims they're not doing enough to stop extremism, criticising the community for "making excuses", looking the other way and ignoring potential risks. "I won't cop the excuses," Mr Morrison said on Tuesday, doubling down on his attack. "For those who want to stick their head in the sand, for those who want to make excuses for those who stick their head in the sand, you are not making Australia safer." But experts said there's just one issue with his strong criticisms - the Muslim community appeared to be doing all it could to stamp out extremism. Greg Barton is the chair of Global Islamic Politics at the Alfred Deakin Institute for Citizenship and Globalisation and said an objective view of the situation was required. "One of the problems with suggesting that Muslim leaders need to 'do more' is that it implies they have information they are not sharing, or that they're failing to take action when they see a problem," Mr Barton wrote in analysis for The Conversation. 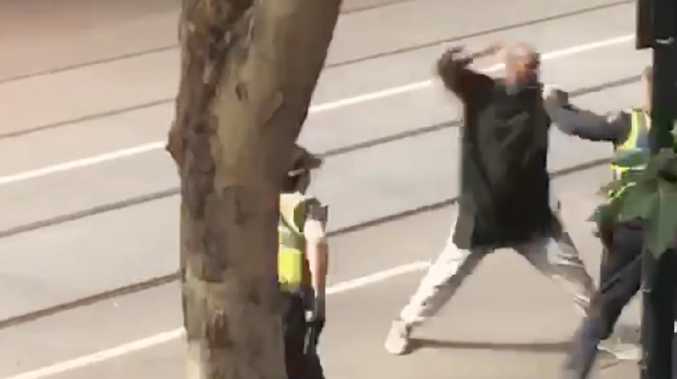 "The reality is that Islamic leaders generally have little to do with the troubled young people most likely to be involved in lone-actor attacks like the one in Melbourne." 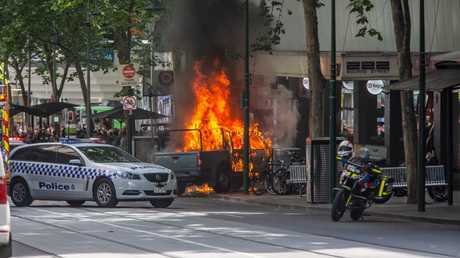 The Melbourne terrorist set his vehicle on fire before going on a stabbing rampage, killing one person and injuring two others. Picture: Stuart Gaut. Despite perceptions, it was not usually the "actively religious" members of the community that posed the biggest risk. Instead, individuals who are alienated or angry, and who turn their back on the Muslim community and its leaders, are the real concern, he said. 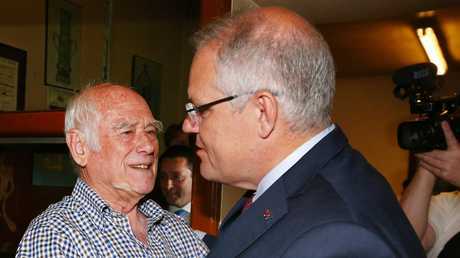 He described Mr Morrison's remarks as "politically charged" and took a swipe at the timing of his pointed remarks, in the lead up to the Victorian Election. The focus would be better placed on detecting and preventing the types of attacks that police are increasingly concerned about before they happen, Mr Barton said. "Friday's attack was the sort of terrorist attack that police have identified as being their primary concern. When one or two people decide to launch an attack with little planning and no communications across a larger terrorist network, the methods of intelligence that are so successful in preventing large-scale attacks have little utility." Rather than attack and potentially alienate the Muslim community, Mr Barton said engaging with them for the purpose of targeted outreach could deliver far better results. "Simply finding the resources to employ a hundred properly trained and equipped youth workers to engage with at-risk youths would likely yield considerable dividends. "In comparison with the many tens of millions of dollars spent at the hard end of countering terrorism, the resources provided to youth workers and community intervention programs remain pitifully small." Keiran Hardy, a criminology researcher at Griffith University, said programs countering violent extremism were critical components of successful counter-terror strategies. 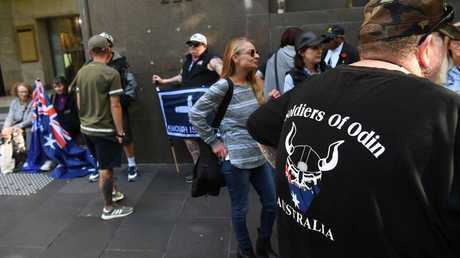 "Australia's counter-terrorism strategy remains focused on prosecuting individuals for offences like being a member of a terrorist organisation or conspiring to plan a terrorist act," Mr Hardy said. "Prosecution is a necessary response to terrorism, but it remains a short-term solution." Since the creation of the Home Affairs Department, funding for initiatives to counter violent extremism all but disappeared, he said. "Community-based programs are not a silver bullet, nor are they a replacement for law enforcement and intelligence gathering," Mr Hardy said. "But even a small amount of money for (countering violent extremism) programs … would signal a commitment to this strategy and allow for new pilot initiatives to be developed." In addition to investment in cutting-edge counter-terrorism initiatives, Australia should aim to be "a world leader in developing innovative, community based approaches", he said. Mr Morrison's comments have caused upset and worry in the Muslim community, with Australia's Grand Mufti, Ibrahim Abu Mohamed telling SBS Arabic that they constituted "serious discrimination". The group Muslims Australia also wrote to the prime minister to request that he apologise for inflaming tensions. 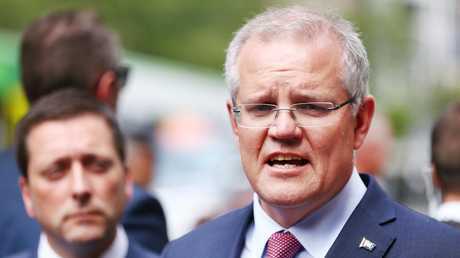 And on Tuesday, Mr Morrison came under fire from Sheik Mohammed Omran, the spiritual leader of the youth centre where Ali attended prayer sessions. "This person was on the watch list. So what did they do? Nothing," Sheik Omran told The Australian. "We want to be really truthful with each other. This bloody Prime Minister, instead of turning the heat on somebody else, he should answer us about what he did. "He has spent billions of dollars - billions - on security services. And what is the end result? We have crazy people in the streets." 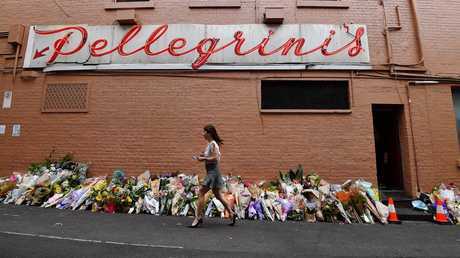 Beloved Melbourne restaurateur Sisto Malaspina was killed in Friday's attack when 30-year-old Hassan Khalif Shire Ali stabbed him. Two others were injured after Ali crashed his car, ignited several gas canisters and went on a stabbing rampage, before being shot by police. He later died in hospital.